Today's nail are Sailor Moon inspired! I know I was missing for a large part of the summer but my sister was in the hospital for about a month and a half. It was very scary and I spent a lot of time there. I got her the full Sailor Moon dvd set and we stayed up watching every episode while she was there so I guess it's ingrained in my brain now. 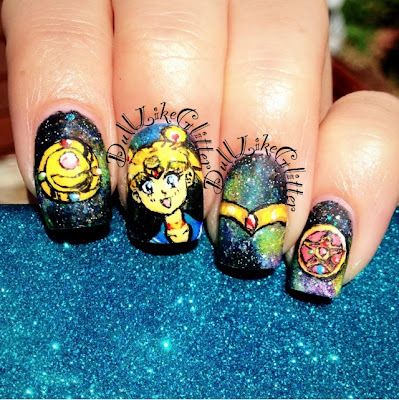 For my Sailor Moon nails I painted the moon prism power transformation brooch on the pointer, Sailor Moon herself on the middle finger, her tiara on the ring finger and the crystal star brooch on the pinky all over a galaxy nail. They were topped with a matte coat to give the cartoony effect to the line work. Speaking of galaxy nails, before I painted Sailor Moon over them when they were still glossy these were one of my best galaxy nails to date! Any other Sailor Moon fans out there? 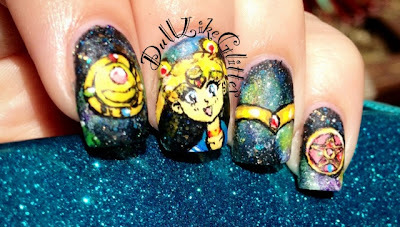 Wow these look so amazing <3 You are so talented! I hope your sister is doing better now! I did love sailor moon so much!!! 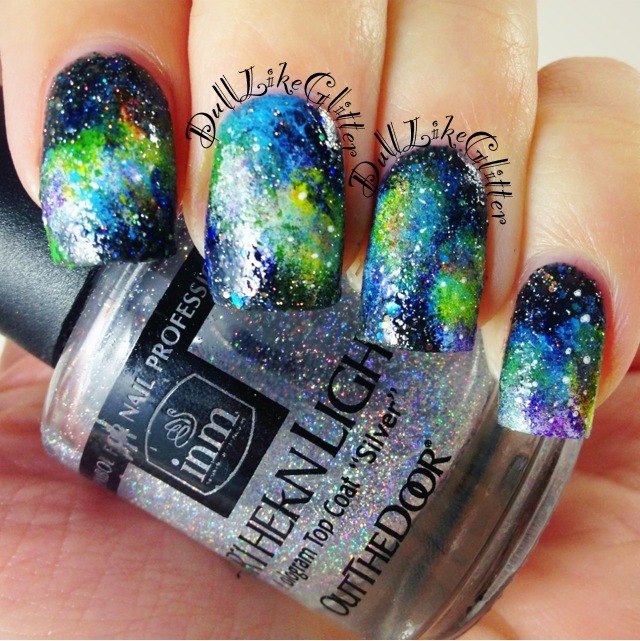 I love your nails! 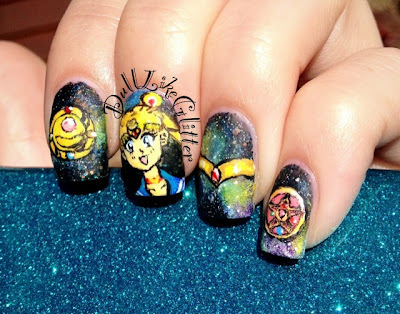 I love sailor moon. 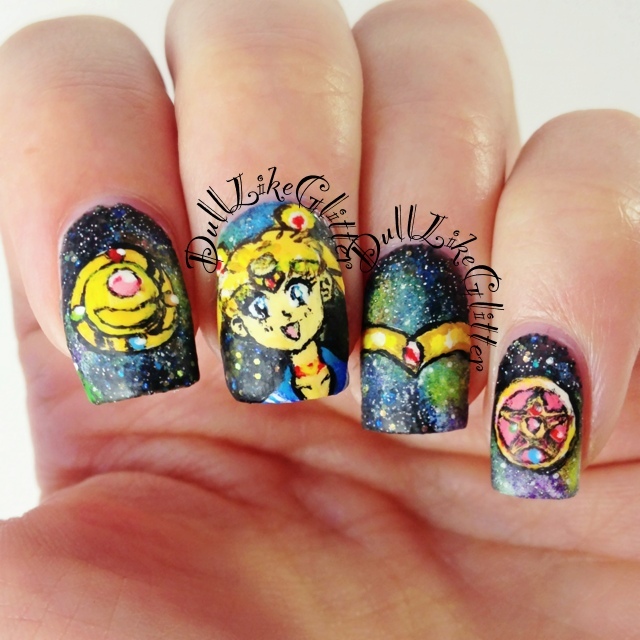 A while ago i made sailor mercury on my nails.